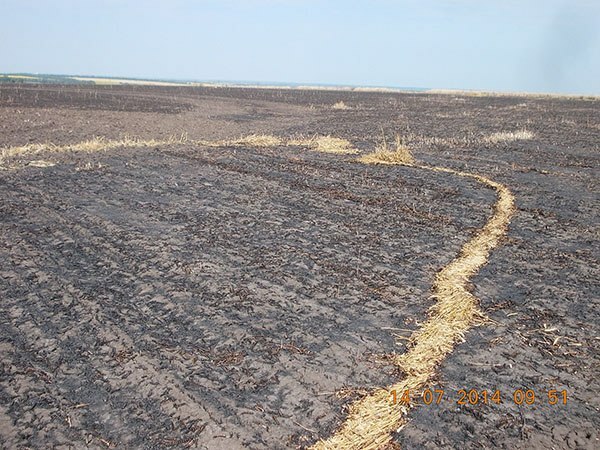 On July 11, 2014, 30 hectares of winter wheat in the Dnipropetrovsk region have been reported to be destroyed by fire. According to Fire Emergency Center report, the fire has been caused by the source of open flame. Specifics on fire occurrence have not been indicated in their report. 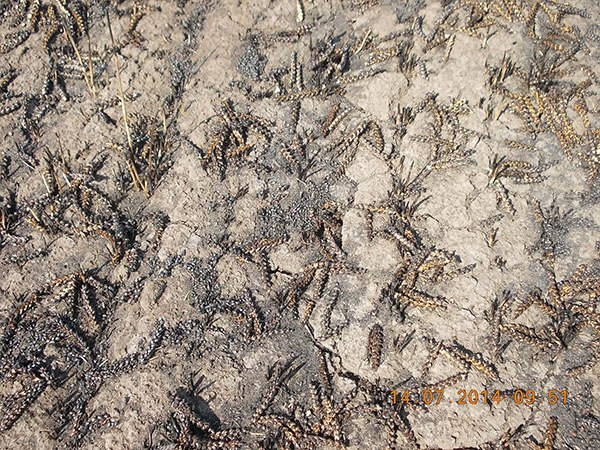 At the time of conducting the loss adjustment procedures, the actual scope of damage has been identified: entire winter wheat crops on inspected fields were destroyed. Combustion stem and charred remains of the ear were revealed on the burned field. 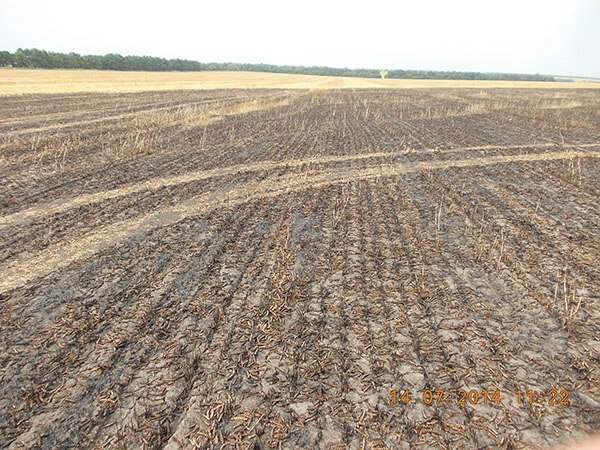 On July 11, 2014, 30 hectares of winter wheat in the Dnipropetrovsk region have been reported to be destroyed by fire. According to Fire Emergency Center report, the fire has been caused by the source of open flame. Specifics on fire occurrence have not been indicated in their report. 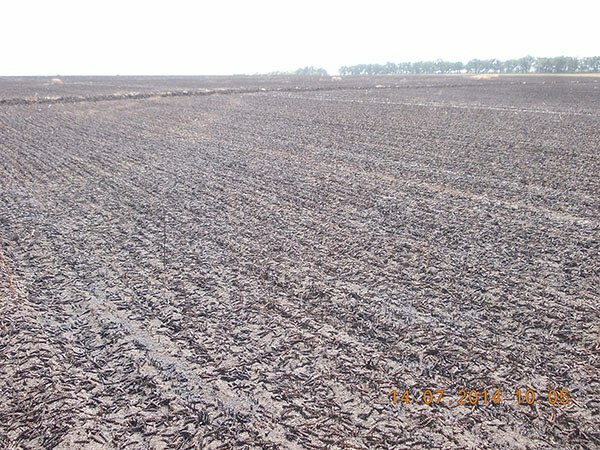 At the time of conducting the loss adjustment procedures, the actual scope of damage has been identified: entire winter wheat crops on inspected fields were destroyed. Combustion stem and charred remains of the ear were revealed on the burned field. Despite the risk event was declared as an insured accident, no indemnities have been paid. The existing damage is fully covered by the franchise terms of the insurance contract.